You are here: Home / Investments / Tax Saving Fixed Deposits: What are they, How they work? We all love bank FDs, but fret over it not being able to save taxes. Actually Tax Savings FDs are available that do exactly that, save some taxes. Let’s have a look at this product. It is the beginning of that time of the year when you are looking for options to save tax and hence you may have gone through the typical products, insurance being the first and various ELSS or bonds, and if you have planned well, a PPF account too can serve this purpose very well. However, there is one more product that not many are aware of and that is Tax Saving Fixed Deposits. Being a tax saving instrument, there is obviously a lock-in period to these tax saving Fixed Deposits. Tax Saving FDs come with duration of at least 5 years. 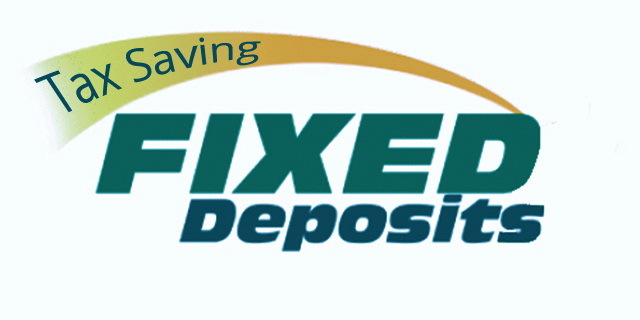 You can open a Tax Saving Fixed Deposit with a minimum of Rs. 100 and higher in multiples of 100 and a maximum is Rs. 1 Lac. You can have one Tax Saving FD up to Rs. 1 Lac in a year and not more. The amount invested in a tax saving fixed deposit is exempt from Income Tax calculations. However TDS is deducted on interest earned and the interest earned on these FDs is Taxable. So you only save tax on the principal amount and not the returns. Being a tax saving instrument, you cannot withdraw prematurely nor can you pledge them like ordinary fixed deposits and avail loan facility on it. Currently the Interest rates offered on Fixed Deposits that save tax range from 9% to 9.75% depending on bank to bank. There are largely two investment options commonly available on these FDs that save tax, and they are mainly Quarterly interest payouts and Interest Reinvestment option in which case your interest is compounded quarterly and reinvested in the FD and not paid out to you. You can avail the interest under the reinvestment option on maturity of Fixed Deposit. Tax Saving Fixed Deposits are risk free investments that give you the option to save tax on the principal amount. The other options you have like PPF which are completely tax saving and offer the flexibility of a piggy bank, and there are ELSS and Insurance products. Insurance products however should not be viewed as pure investment products and ELSS being Mutual Funds have their fair share of risks. This gives an edge to PPF and Tax Saver FDs. Also there are Government Bonds which offer similar returns but have a longer lock in period. Also the other reason is Tax Saving FDs offer the ease of operation and that familiarity and the returns aren’t bad, so you can look at them as an option to save some tax this year.